Today, we present one of the best French custom bikes of this year. The bike is built by Atelier Medusa, France. 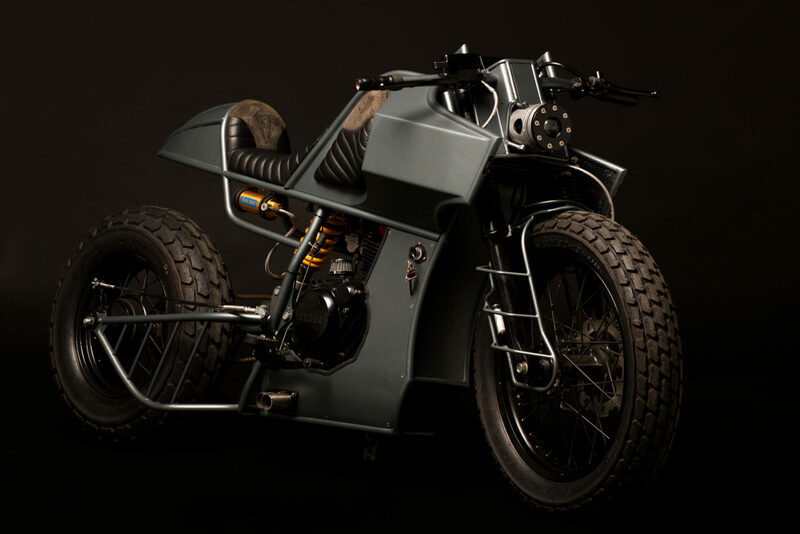 The bike is inspired by apocalyptic and futuristic films. It's their first bike that's based on TW 125. They wanted a bike that looked balanced with both coffee racer, jammer and some bobber details too. This bike can also handle ball attacks too. By doing the internship as part of Peyot MetalWorks, they realized that this bike could be the ticket for them in the world of modification. Therefore, they built this bike entirely by hand to explore the different areas of bike modification. They used the original frame. The upper part and the swingarm were designed and built by them. 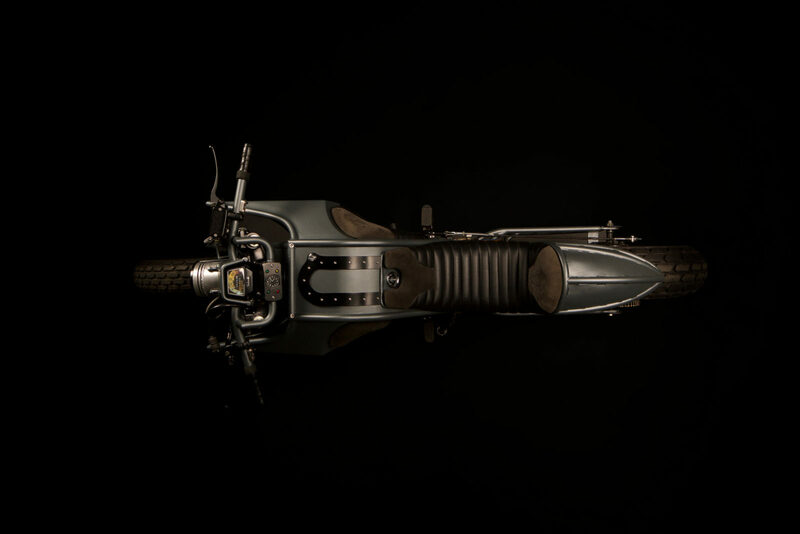 The original tank has been hidden by large, custom-made scoops that direct air towards the engine and also hides all electrical components of the bike. The lithium battery is hidden under the saddle. They used BMW Xenon headlights and LED lights integrated into the tube frame. The engine shoe is housed in an exhaust made entirely of stainless steel allowing us to better control the noise and hoarse rumbling of the single cylinder. They attached the Nixon watch on the handlebars and the leather is used for the saddle and the tank pads. 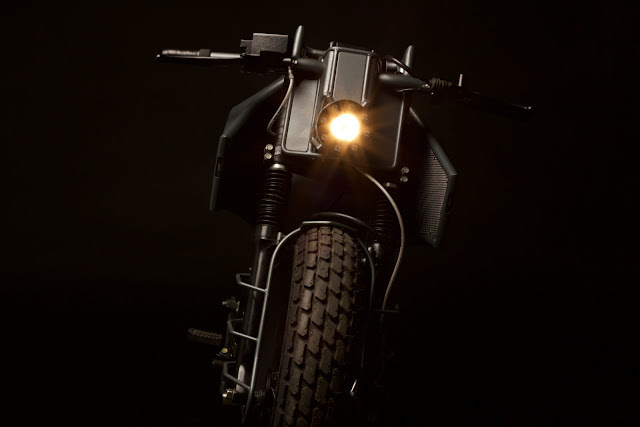 They built the metal bike which was given in satin black and anthracite shades of gray for the best contrast.